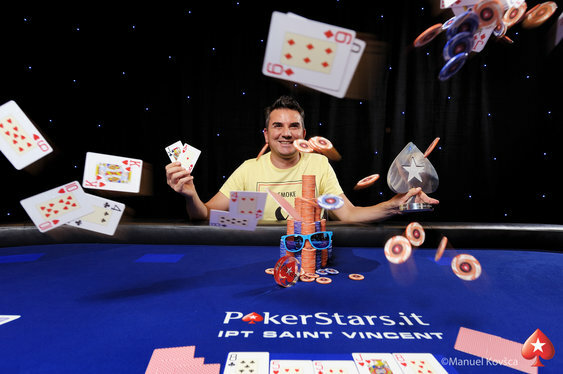 The latest IPT event recently came to a conclusion in Saint Vincent and when the dust had settled and the chips had fallen it was Alessandro Adinolfo standing victorious. After lining up against 390 players in the €1,100 Main Event, Adinolfo was able to bob and weave his way through the field and book himself a place at the final table alongside the likes of Christian Cipriano, Enrico Consales and the lone foreigner, Micha Renaldo Hoedemaker from the Netherlands. Despite entering the final table as the last great hope for the rest of Europe, Hoedemaker was unable to overcome the wave of local talent in the finale and eventually fell in 8th place leaving the way clear for Adinolfo to scoop the largest single cash win of his career. Indeed, after taking the chip lead into the final battle with Giuseppe Caridi, Adinolfo was able to control the action for much of the match before bringing the hammer down with Ah Jc. Knowing his opponent was desperate, Adinolfo put the pressure on pre-flop with an all-in move and watched as Caridi reluctantly called with 7d 6c. Despite a helpful board reading 8c 5h 5d, the Jh on the turn and 8h on the river sealed the deal for Adinolfo and sent the final pot as well as €80,000 his way.